Clinical and Developmental Psychology, Sociology, Anthropology, Social Work, Public Health, Education, Genetics, Pharmacology, Infectious Disease, Oncology, Cardiovascular Disease, Pulmonary Function and Disease, Dermatology, Wound Healing, Immunology, Anesthesiology, Endocrinology, Gastroenterology, Hematology, Neonatology, Nephrology, Pathology, Physiology, Nutrition, Pain Management, Sleep Disturbances, and Mental Health. (HONOLULU, Hawai‘i) The University of Hawai‘i Press celebrates the 30th Anniversary for three influential university-based journals—The Contemporary Pacific, Journal of World History, and Mānoa—in collaboration with the Center for Pacific Island Studies, Department of History, and the Department of English at the University of Hawai‘i at Mānoa. In the past three decades, these journals have attracted a growing, global audience for more than 6,300 articles read in over 170 countries. The Journal of World History served as a pioneer in the field of world history and continues to publish quality peer-reviewed articles and special issues quarterly. 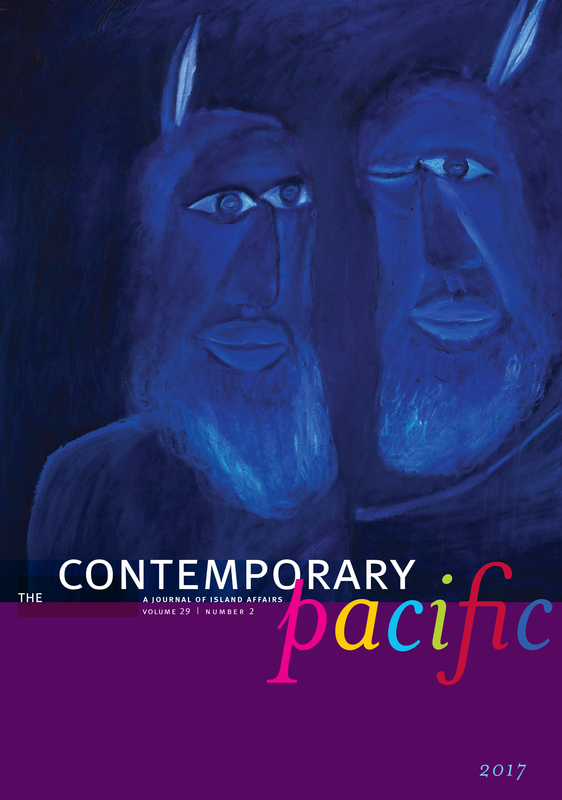 Research published in The Contemporary Pacific has shaped an entire field of Pacific Studies and has often demonstrated foresight and long-lasting relevance. Indeed, the journal kicked off its first issue in 1989 with an article on the potential impacts of climate change in the Pacific. Also among the journal’s most cited pieces are features published in its political reviews section which document the local and regional politics of Pacific Islands states. Mānoa brings to light new translations of international literature, highlighting the work of both emerging and established translators and authors, including Pulitzer Prize winners and Nobel laureates. In 2018 alone, works from the three journals garnered more than one-quarter million downloads. The journals were founded in 1989 in response to the university president’s call to expand the journals published by UH Press. “Since being awarded the modest, three-year start-up funding, these journals now annually reach tens of thousands of researchers, scholars, students, and the general public,” said Joel Cosseboom, Interim Press Director & Publisher. A special celebration was held at College Hill on March 13, commemorating the 30th anniversary of their founding. Learn more about The Contemporary Pacific, Journal of World History, and Mānoa below and at www.uhpress.hawaii.edu/journals. ISSN: 1043-898X / E-ISSN: 1527-9464 Published twice a year. Founding Editorial Team: Robert Kiste, Terence Wesley-Smith, David Hanlon, Brij Lal and Linley Chapman. Awarded Best New Journal (1990) from the Association of American Publishers. The journal editorial office is supported by the Center for Pacific Island Studies. 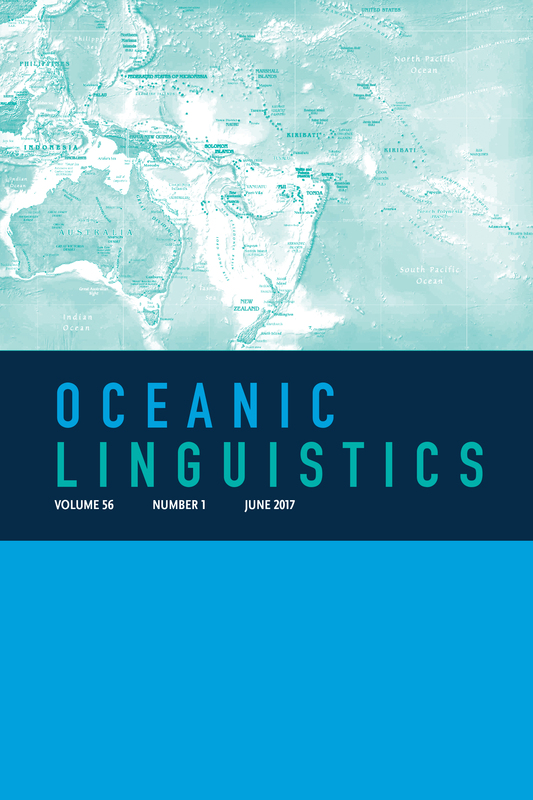 The journal covers a wide range of disciplines with the aim of providing comprehensive coverage of contemporary developments in the entire Pacific Islands region, including Melanesia, Micronesia, and Polynesia. It features refereed, readable articles that examine social, economic, political, ecological, and cultural topics, along with political reviews, book and media reviews, resource reviews, and a dialogue section with interviews and short essays. Each issue highlights the work of a Pacific Islander artist. ISSN: 1045-6007 / E-ISSN: 1527-8050 Published quarterly. Founding Editor, Jerry Bentley with Imre Bard as Book Review Editor. Awarded Best New Journal (1990) from the Council of Editors of Learned Journals. The journal editorial office is supported by the Department of History. JWH publishes research into historical questions requiring the investigation of evidence on a global, comparative, cross-cultural, or transnational scale. It is devoted to the study of phenomena that transcend the boundaries of single states, regions, or cultures, such as large-scale population movements, long-distance trade, cross-cultural technology transfers, and the transnational spread of ideas. Individual subscription is by membership in the World History Association. ISSN: 1045-7909 / E-ISSN: 1527-943X Published twice a year. Founding Editors, Frank Stewart and Robert Shapard. Works in MĀNOA have been cited for excellence by the editors of such anthologies as Best American Short Stories, Best American Poetry, Best American Essays, Prize Stories: The O. Henry Awards, and Pushcart Prize. The journal editorial office is supported by the Department of English. Mānoa is a unique, award-winning literary journal that includes American and international fiction, poetry, artwork, and essays of current cultural or literary interest. An outstanding feature of each issue is original translations of contemporary work from Asian and Pacific nations, selected for each issue by a special guest editor. Beautifully produced, Mānoa presents traditional alongside contemporary writings from the entire Pacific Rim, one of the world’s most dynamic literary regions. The University of Hawai‘i Press supports the mission of the university through the publication of books and journals of exceptional merit. It strives to advance knowledge through the dissemination of scholarship—new information, interpretations, methods of analysis—with a primary focus on Asian, Pacific, Hawaiian, Asian American, and global studies. It also serves the public interest by providing high-quality books and resource materials of educational value on topics related to Hawai‘i’s people, culture, and natural environment. Through its publications, the Press seeks to stimulate public debate and educate both within and outside the classroom. UH Press is a member of the Association of University Presses and the Hawai‘i Book Publishers Association. The Press has also partnered with museums and associations to bring new or out-of-print titles into circulation, and offers publishing services for authors and partnering organizations. This issue of Rapa Nui Journal features an article on a use-wear and residue analysis of a collection of 12 matā in the Australian Museum, Sydney. The article questions the value of relying on tool shape as an adequate indication of past use. The study illustrates the value of museum ethnographic collections for understanding past tool use. The second article of the issue looks at two examples of artifact collections that were brought back from the South Seas by Yankee whalers. Among them is a singular head of a wooden moai from Rapa Nui (Easter Island). Pacific Science: A Quarterly Devoted to the Biological and Physical Sciences of the Pacific Region is edited by Curtis Daehler, Dept. of Botany, University of Hawai‘i. Clifford Geertz writes, ”We are, in sum, incomplete or unfinished animals who complete ourselves through culture—and not through culture in general but through highly particular forms of it.”1 At least part of his point is that unlike other animals, many of whom—like bees, ducks, or dolphins—live in complex and orderly societies, human beings are creatures that come into the world with only a partially written script, unsure of exactly what characters they are to play, what roles they should fulfill, and how they and their actions contribute to some larger scheme or plan. Like culture, religion attempts to fill in the script by providing accounts of human nature, the proper roles humans should play, and how human actions contribute to some grand vision or cosmic plan. Nevertheless, as Geertz makes clear, we can only understand how religion does what it does by looking carefully at particular religions. This special issue of the Journal of Korean Religions seeks to do just that by being dedicated to ”Confucian Spirituality in East Asian Contexts.” The five essays it contains explore a set of interrelated issues about how Confucians, among them Koreans, fill in the script of human life aiming to orient and guide human beings to satisfying and meaningful lives. These essays describe key components of a distinctively Confucian form of spirituality by analyzing characteristically Confucian concerns with cultivating the self in ways that complete human nature, enable one to fulfill one’s proper roles within family and society, take one’s correct place in the world, and realize the Heavenly ordained purpose of one’s life. Figure 2. Bhavacakra, painting on cloth; Nepal, nineteenth to twentieth century. From Massimiliano Alessandro Polichetti’s article The Sorrowful Fates of Rebirth: Ippolito Desideri Encounters Tibetan Sacred Art. October 14–15, 2017, the city of Pistoia in Tuscany hosted an international symposium to honor the legacy of Fr. Ippolito Desideri (1684–1733), the first Jesuit missionary to Tibet who engaged in sustained interreligious dialogue with local Buddhists and whose extraordinary command of the local language even enabled him to author Christian theological treatises in Classical Tibetan. New uploads have been added to the latest edition of the National Foreign Language Resource Center’s free and open-access journal Language Documentation & Conservation volume 12. Language Documentation & Conservation is a free open-access journal on issues related to language documentation and revitalization. Instructions for submission can be found on the Language Documentation & Conservation‘s website. Although Language Documentation & Conservation is a free online journal, subscribers are notified by email when a new issue is released. Subscribe to LD&C here. A scholarly journal devoted to Buddhism and Christianity and their historical and contemporary interrelationships, Buddhist-Christian Studies presents thoughtful articles, conference reports, and book reviews. It also includes sections on comparative methodology and historical comparisons, as well as ongoing discussions from two dialogue conferences: the Theological Encounter with Buddhism, and the Japan Society for Buddhist-Christian Studies. Submission guidelines for BCS are available online. The Journal of Daoist Studies (JDS) is an annual publication dedicated to the scholarly exploration of Daoism in all its different dimensions. Each issue has three main parts: Academic Articles on history, philosophy, art,society, and more (limit 8,500 words); Forum on Contemporary Practice on issues of current activities both in China and other parts of the world (limit 5,000 words); and News of the Field, presenting publications, dissertations, conferences and websites. For submission guidelines please contact daojournal@gmail.com. The Journal of Korean Religions is the only English-language academic journal dedicated to the study of Korean religions. It aims to stimulate interest in and research on Korean religions across a range of disciplines in the humanities and social sciences. Launched in 2010 by the Institute for the Study of Religion at Sogang University in Korea, it is peer-reviewed and published twice yearly, in April and October. Submission guidelines for JKR are available online. Promoting academic literacy on non-Western traditions of philosophy, Philosophy East and West has for over half a century published the highest-quality scholarship that locates these cultures in their relationship to Anglo-American philosophy. Philosophy defined in its relationship to cultural traditions broadly integrates the professional discipline with literature, science, and social practices. Each issue includes debates on issues of contemporary concern and critical reviews of the most recent publications. Submission guidelines for PEW are available online. For more information on the University of Hawai`i Press and our journal publications, visit www.uhpress.hawaii.edu/journals. To receive table-of-contents email alerts for these publications, please click here to sign up at Project MUSE. The University of Hawaii Press is concerned about your privacy. We do not rent, sell or exchange email addresses. Special Section: What Is Wrong With Us? What Is Wrong with the World? Context: A sign of the times: Volume 37 of Buddhist-Christian Studies includes a special section of four articles where theologians attempt to answer these questions: What is Wrong With Us? What is Wrong With the World? Context: In the first peer-reviewed Hawaiian language journal to be published exclusively online, Palapala editor and author Jeffrey “Kapali” Lyon shares the history behind the making of the Hawaiian Bible, the largest single volume ever printed in the Hawaiian language. 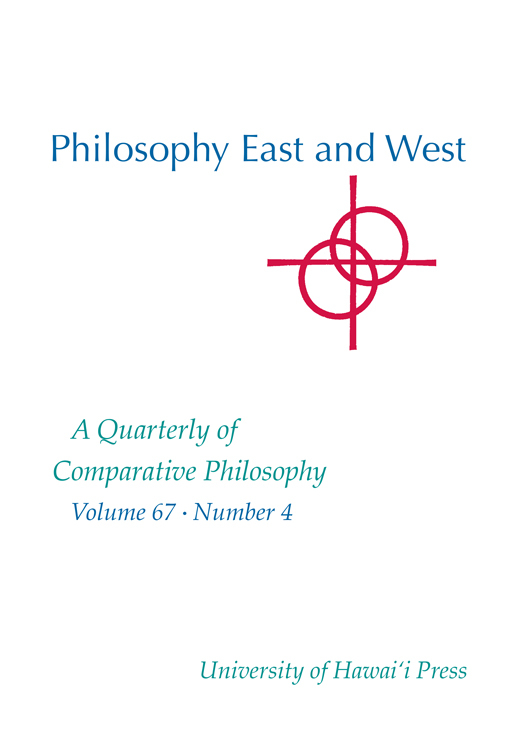 Context: Philosophy East and West Volume 67 tackles issues around the long-standing tendency of Western philosophers to reject the legitimacy of Chinese, Indian and Japanese philosophy. Context: Published twice a year, MĀNOA features contemporary literature from Asia and the Pacific, often in translation. Volume 28 includes the work of author Zhang Yihe, whose novellas were banned in China and appear here in English for the first time. Charged as a counter-revolutionary in China, Yihe based her stories on the people she met while sentenced to 21 years in a remote labor prison. In 2017, MĀNOA was awarded $10,000 grant to pursue new projects in Burma and Cambodia from the National Endowment of the Arts, which is currently under threat of discontinued federal funding. Context: Scholar Zhao Ma explores the process of a nation’s remembering and forgetting the bloodshed and fervor behind a war—in this case, China’s involvement with North Korea—when it is recast through state-run media and propaganda. Context: As LD&C celebrates its 10th anniversary, editor Nick Thieberger takes a look at the journal’s downloads, Facebook following, and other statistics that have brought the open-access journal’s research to linguistics scholars across the globe, and wonders how new technology will change the field in the coming decade.